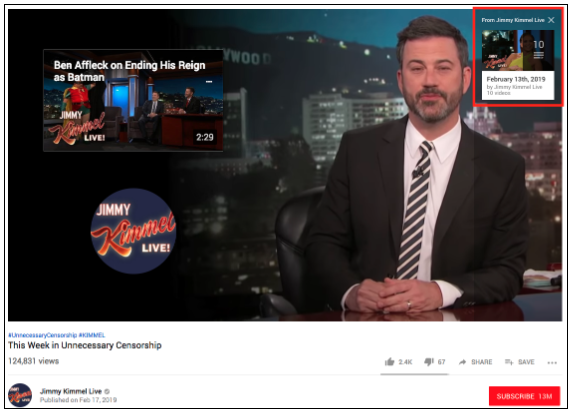 What does YouTube advertising look like in 2019? For one, it’s one of the world’s biggest platforms for advertisers. The numbers don’t lie. YouTube is also the second-biggest search engine after Google, with 1.9 billion monthly active users. 50 million of those users are content creators who upload 576,000 hours of video to YouTube every day. You can set yourself apart from over 90 percent of U.S. businesses simply by creating a YouTube business account and getting started marketing on YouTube. This guide will help you rise to the challenge. By the time you’re finished reading, you’ll know how to navigate YouTube’s ad manager and understand the platform’s six ad formats. You’ll also have a firm grasp of YouTube ad targeting, and have a better sense of how to monetize your channel. Let’s begin with the bread and butter of YouTube advertising: video ads. People visit YouTube for video content, so it goes without saying that video ads are the most effective way to reach your audience and build a brand on the platform. TrueView ads allow you to advertise your products and services with how-to videos, demos, video testimonials and more. In September last year, UK-based outerwear manufacturer Superdry won a “YouTube Works for Brands” award for their “This is the Jacket” TrueView ads. The campaign was hugely successful, resulting in a 37 percent rise in digital sales, and a 55 percent increase in hero product sales! Superdry – THIS IS THE JACKET from Iris on Vimeo. 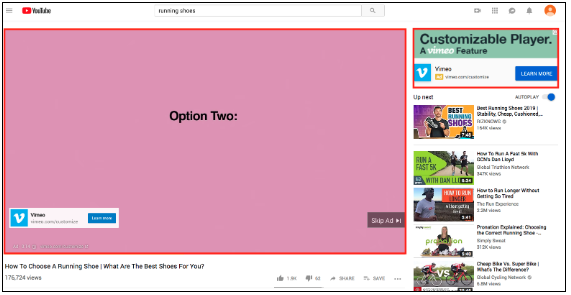 Effective TrueView ads include a clear call to action from the start of the video, whether that’s in the video itself, or via overlay ads and sponsored cards (more on those later). They’re one of the best ways to drive immediate customer engagement elsewhere on your YouTube channel, sometimes by up to 500%! Because TrueView ads can be skipped after five seconds, you’ll rarely waste ad dollars on completely uninterested audiences. Remember, YouTube takes Google search history into account when serving ads, so you’re essentially combining the audiences of the two biggest search engines on the web. 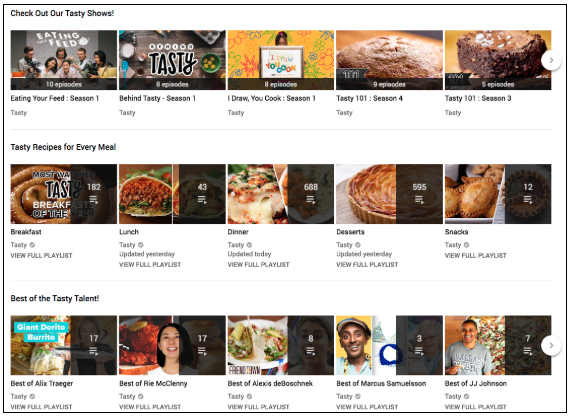 TrueView ads can appear on other publisher sites in the Display Network, depending on which type of TrueView ad you choose: In-Stream or Discovery. 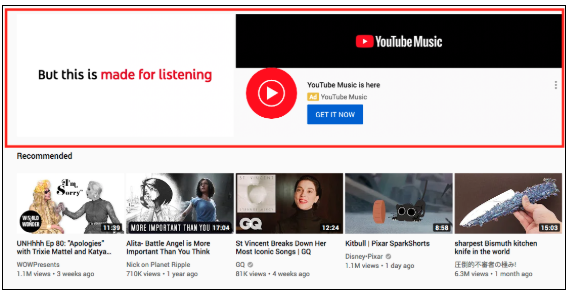 These ads play during YouTube videos, and they can also play in other places in Google’s display network, like apps or games. Your in-stream ad can be up to three minutes long, but 30 seconds is generally recommended. There’s no word limit for your ad copy, and clicks go to your website or digital storefront. While your in-stream ad plays, a companion banner—an actual display ad—appears in the top right. This is a direct route to your website. Discovery ads are like display ads—in fact, they even used to be called in-display ads. These are the recommended videos that pop up on the YouTube homepage, or as recommended/related videos on the search page. With discovery ads, there’s no limit to the video length, since people choose to navigate to them. The accompanying display ad headline has a 25 character limit, and the body copy can contain two lines, each with a 35-word maximum. Overall, TrueView campaigns are low risk, high reward. Even a skipped ad can boost engagement! Up to 76 percent of customers reflexively skip ads given the option. However, people who skip TrueView ads are still 10 times more likely to visit or subscribe to a brand channel than those who were never exposed to the ad at all. And people who actually watch the ads? 23 times more likely! In April 2018, Google introduced TrueView for Reach, a new way of optimizing TrueView ads based on campaign goals. Rather than paying whenever a prospect watches your ad to completion, TrueView for Reach enables CPM (cost per 1,000) pricing for these shorter ads, meaning you’ll pay per 1,000 views. To be eligible for this type of optimization, your ad must be between six and 30 seconds. TrueView for Reach is a good option if you want to reach a wide audience quickly. On Google’s blog, Samsung commented that they were increase reach by 50 percent at half their normal CPM using the new format during Beta testing. However, Samsung is a big company with a wide audience and range of products. If you’re advertising a more niche product or service, TrueView for Reach might not be as useful, simply because your ad dollars might probably be better spent honing in on your specific audience. Real talk: non-skippable ads can be annoying, but they’re here to stay. The good news? People are learning to tolerate them (or at least, learning to do something else while they play) especially since YouTube cut the maximum length from 30 seconds to 20. If you’re looking to tell a deeper, more nuanced story that requires a little build-up, you may want to set up some non-skippable YouTube ads. Make sure your video is hyper-focused and clearly showcases your product’s value to your target audience. Another tip? Make sure the video communicates your message audibly as well as visually. That way, even if someone’s not interested in watching, they still might hear what you have to say. Skillful ad targeting is the key to finding success with non-skippable ads. Take the time to hone in on your desired audience. Generally, non-skippable ads are effective for increasing brand exposure to specific target markets. Another benefit? They’re paid for on a cost-per-mille (CPM) basis, giving you more control over your ad spend. Bumper ads are the more tolerable version of non-skippable ads, lasting six seconds at most. They appear at the end of YouTube videos, and are paid for on a CPM basis. Because they’re short, bumper ads are ideal for targeting mobile users. They’re also a great way to recycle longer content. Pro tip: Cut down on the “annoying” factor of non-skippable ads by creating a six-second bumper version. Then, re-market to viewers who have seen the non-skippable version to the shorter version. This way, you can reinforce exposure to the brand without leaving viewers frustrated. Once you’ve uploaded your ad footage to YouTube, you’ll need to set up a campaign with a targeted audience. Click the +Campaign button, then New campaign. Build a YouTube advertising campaign in Google Adwords and take advantage of the interactivity between these two search giants. It’s like killing two birds with one stone: once you’ve built your YouTube video ad campaign in Adwords, you can use insights gained from YouTube to remarket to new audiences within the Display Network. This is the standard suite of demographic filters: age, gender identity, parental status, and household income. Get even more granular by targeting specific audiences within your demographics. Choose from marital status (single/in a relationship/married), home ownership (owner/renter), education (high school/bachelors), and parental status (parent of infants/toddlers/preschoolers/grade schoolers/teenagers). Find the right audience by targeting based on search history and personal interests. This type of targeting is for companies who advertise their products on TV and want their campaign to have an online presence. It’s similar to interests targeting, but casts a wider net. Affinity audiences include groups like people interested in PC gaming, or people who collect dolls. This builds on affinity audiences, offering more specific targeting. Instead of people who like cooking, custom affinity audiences might help you target people who frequently search for barbecue equipment. People’s purchasing habits and brand preferences change when they reach certain milestones, like graduating from college, getting married, or having a baby. Targeting your audience by life event allows you to hone in on these important moments and market accordingly. Target your YouTube ads to people searching for products like yours. Google determines whether someone’s “in-market” for a product or service based on ad click history, conversions, search history and how often someone’s searching specific terms. Target individuals whose search terms indicate they are on the verge of making a purchase. Target an audience based on a) whether they’ve watched other videos on your channel, and b) which ones they’ve watched. This is particularly useful as you can really zero in on interested parties. More info on retargeting here. This means choosing to place your ads on unique channels, videos, apps, websites, or placements within websites (such as YouTube channels, and sites on the Display Network.) Tip: Remember you can track the performance of your individual ad placements in AdWords—go through these regularly and remove any low performers to optimize your campaign. Target your video ads to reach a range of videos, channels, and sites relevant to topics of your choosing. Target people based on their search terms. For example, if you sell plant food, you might target people asking Google why their plants aren’t thriving. Target specifically by screen (desktop/mobile/smart TVs). You’re almost done! Once you’ve zeroed in on the right audience, it’s time to set the campaign live. Congrats! You’re ready to roll with your first TrueView campaign. Setting up a bumper ads campaign pretty much follows the same steps, only you’ll want to click the “Bumper ads: 6-second video ads” option, rather than In-Stream or Discovery. For full instructions on creating a bumper ads campaign, check out Google’s guide. If you’re not ready to produce your own video ads—or want to make your existing video ads interactive—you can advertise on YouTube with overlay ads, display ads, and sponsored cards. If you’re running a reservation sponsorship campaign, you can set up overlay ads on partner videos. 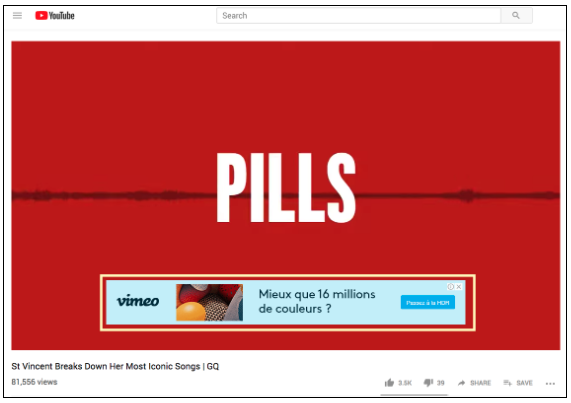 YouTube overlay ads are banner advertisements that you’ll often see running along the bottom of a video. They can be simple text ads or visual banners. For information on how to set up overlay ads, see Google’s helpful guide. Display ads appear above the video suggestions list. They can be managed within AdWords, allowing you to double up with the Display Network for maximum reach. Cards are small CTA pop-ups you can set to appear within the YouTube player. Use these to add interactivity to your videos. YouTube cards are effective because they’re an unobtrusive way to advertise while also driving actions from viewers. Cards only expand to their full size when they’re clicked (i.e., when the viewer is interested). Navigate to the Creator Studio on your YouTube channel. Click Video Manager and select a video to add a card to. Select the type of card you want: Video or Playlist to promote other content on your channel, or Link to send the viewer to a sales page with a sponsored card. Once you’ve created your card, you can choose where and when it appears on the video. Here’s a quick rundown of YouTube ad sizes for every type—video and non-video. For TrueView ads appearing in YouTube’s search results and in the Display Network, you can also choose from four auto-generated thumbnail previews. Overlay ads have one required image which will appear over the lower 20 percent of a video. If you pick an animated image file, keep the animation loop under 10 seconds. You can include animated GIFs in your display ads, but the animation loop must be 30 seconds or under. If your creative has a black or white background (even partially), a visible border highlighting the ad’s clickable area is required. With sponsored cards, you want to pick an image that clearly displays your product. Write a convincing CTA to accompany it. Besides these technical requirements, YouTube has a list of rules and regulations around what types of content they’ll allow on the platform. Keep these top of mind when you’re concepting your ads. Now that you’re familiar with all the different YouTube ad types and the platform’s rules and regulations, it’s time to think about what you’re going to advertise on YouTube. Here’s a list of best practices to keep in mind. Showcasing your products in action through YouTube ads and other content on your channel is the single best way to get them to buy. 80% of shoppers watch YouTube videos to research products before purchasing, so make a good first impression. With video ads, you should try to tell a story that resonates with your viewers—a story that just happens to include your product. Keep your titles simple and to-the-point so that if someone clicks away from your ad but wants to find it later, they can do so easily. If your video ad title isn’t relevant to the user’s search terms, it won’t appear on YouTube’s search pages. Similarly, make sure the thumbnails for your video ads are visually appealing and clearly highlight an important moment in the video. This will improve your CTR. 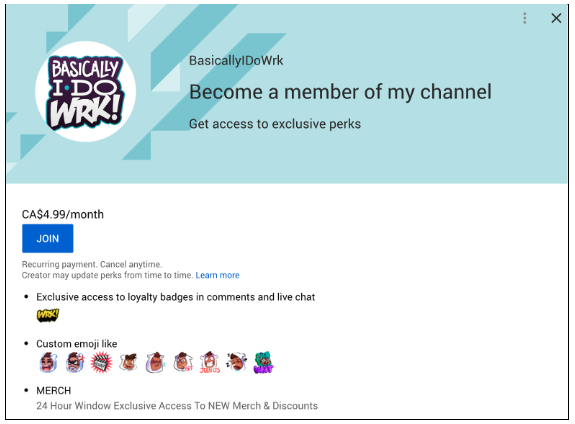 In August 2018, YouTube rolled out a new feature that gives viewers access to special perks for a monthly fee of $4.99. The Join button adds a level of exclusivity to your channel, giving you a way to reward loyal followers. It’s also a good way to generate ancillary revenue—as of 2019, content creators retain 70% of the profits, with the rest going to YouTube. As of 2019, you need a minimum of 30,000 followers to add the Join button to your channel. People who join your channel are paying to become brand ambassadors. A badge is added to their public profile showing that they support you. This is huge if they’re posting on competitor videos, as it’ll pique curiosity among their viewers, bringing more traffic to your channel. Other perks include custom emojis and special members-only promotions—another way to sell your products or services. Organizing videos on your channel is a good way to tell stories that keep viewers engaged. Create a satisfying viewing experience for your subscribers by guiding them through the best your channel has to offer—and possibly towards a purchase! Under the video, click Add to and the + sign. Name your playlist (keep it simple and searchable). Change the privacy settings using the drop-down menu. Make sure it’s set to public. Bam! Your playlist is ready. Navigate between your YouTube playlists in the Guide section, located on the left side of YouTube’s interface. If you start a YouTube channel to elevate your brand, you have to commit to it. Publish, publish, publish! The last thing you want is a prospect clicking your ad only to find a dead channel. Remember, video creation doesn’t need to be a huge, expensive ordeal. Many of the world’s most popular and successful YouTubers film everything at home. I’m not saying your videos should look unpolished. At the very least, make sure you pay attention to YouTube’s ad specs, rules and regulations. And if you’re planning to take a vacation, don’t forget you can always schedule YouTube videos in advance using a tool like Hootsuite. Just 9 percent of small businesses in the U.S. are active on YouTube, but this trend is changing. Since 2017, the number of small- and medium-sized businesses advertising on the platform has doubled as marketers find new ways to reach audiences on YouTube through influencer partnerships and new video trends that don’t require expensive equipment or a decked-out production team. “How-to” guides on are immensely popular on YouTube and elsewhere: in fact, a recent study from Google and Ipsos revealed that how-to videos are more popular than any other video type on YouTube. 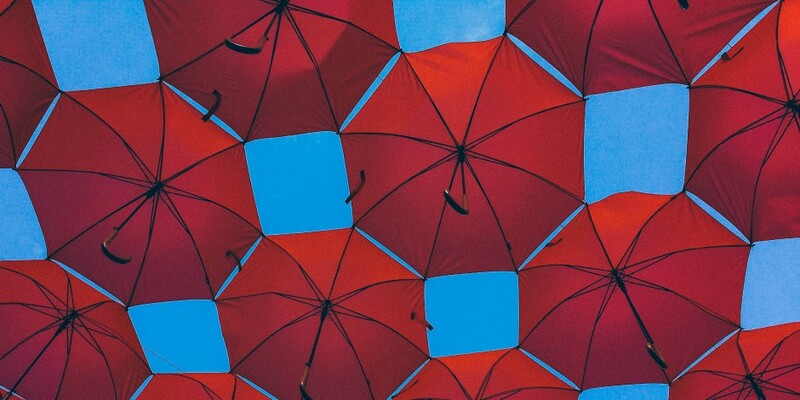 One of the best ways to generate new audiences is by working with an influencer. The golden rule with this kind of partnership is to keep things authentic: superfans can spot clear product placement a mile away. Wix is an example of a brand doing influencer partnerships well. They’ve worked with super-celebs like Karlie Kloss, Jason Statham, and Gal Gadot, framing their product as something that’s so easy to use that even busy celebrities can find the time to build a website. YouTube ads are critical to any digital marketing effort and they’re only going to get more important as the demand for social video continues to grow. Use the information you’ve learned here to inform your strategy before diving in. Successful TrueView video campaigns tell a relatable story that demands attention. Short content used to be king, but that’s changing. Studies like this one from the Pew Research Center show that YouTube is starting to prioritize longer videos in search results, suggesting a preference among viewers for longer-form content. TrueView for Action optimization lets you add a headline and call-to-action (CTA) button to your In-Stream ads. This makes your YouTube ads more actionable, whether you’re looking to generate leads or increase conversions. This optimization is paid for on a cost-per-action (CPA) basis—you pay when someone clicks your CTA. Online Grammar checker Grammarly absolutely crushes it with their TrueView in-stream ads. Their ad “Enhance Your Writing” was number one on Google’s top 10 TrueView for action ads of 2018. If you need inspiration for your own TrueView ads, definitely check out every video on this list. For information on how to set up TrueView for Action ads, check out Google’s guide. Use Hootsuite to promote your YouTube channel and drive engagement. Easily publish videos to Facebook, Instagram and Twitter—all from one dashboard. Try it free today.